Riding a bicycle can be a lot of fun, and when your kid is old enough, it is high time to give them their first bike and to teach them how to ride it. Do not expect your kid to learn this skill immediately, because it will take a bit of time and practice to get the balance right and to have everything figured out. Although not everyone likes this method, it is one of the safest ways to help your kid pick up on riding a bike. Moreover, they will be encouraged to use their bike wherever they go, helping them grow more accustomed to it. 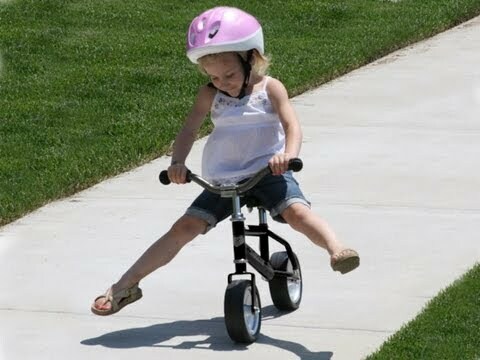 On the other hand, try to get the training wheels off as soon as possible, so that your child does not get used to it too much, and that they can learn how to balance on their own. While you cannot be there at all times to protect your kid when riding a bike, it is best to go over some basics of bike safety, and what they should do if you are not around. Though, in the beginning, it is vital that you are around as much as possible, to boost their confidence. Boosting a kid’s self-confidence is vital, because if your child feels threatened by a bike in any way, it will be impossible to get them back on track any time soon. Remember that you need to be there for them, so that you can help them get back up even after they fall. Do not make a big deal out of it, and instead try to have fun while learning to ride. 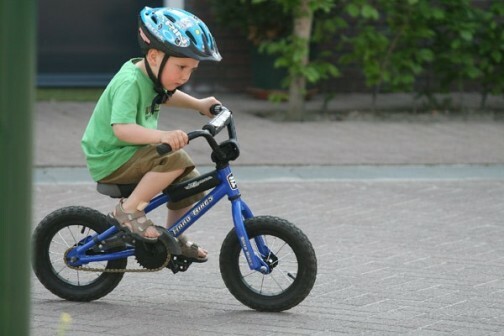 It will help your kid feel more ready to really grasp the basics and to be able to ride a bike independently. Showing your kids just how much fun it can be to ride a bike is necessary, so that they can see it for themselves as well. In the beginning it would be also advisable that you are not just standing behind them, but that you are also going on rides together, not only to have fun, but also keep an eye on your kids. Keep in mind that you should always let your kids be in front, because that way you can monitor what they are doing and help them if they need any assistance. Perhaps one of the hardest dilemmas to solve with your kid is buying their first bike, and often it can be exhausting as they want something completely different from what they are capable of handling. Choose a bikefrom eurocycles and help your kid pick out one they really like so that they can learn fast and be on their merry way without you having to worry about it too much. Bear in mind that for starters you should go with cheaper bikes as you kids will quickly outgrow tem, and you will have to buy new ones eventually. Learning to ride a bike can be a fun experience, but you have to help your kids, because if they do not feel comfortable doing it, they will give up quickly, and it could affect how they will perceive biking in the future. Always pay attention to safety and make sure that you are around for the first few times, because if they fall, you should help them get back immediately. Be encouraging and pep talk them into riding like there is no tomorrow. I first learned to ride a bike as a kid using an adult sized bike. I squeezed the brake so hard, I went over the handle and fell to the tar road and suffered injuries to my hands and knees. That was a very painful lesson to learn how to ride a bike.